There is nothing quite as beautiful as a child’s smile. With proper care and regular dental visits, it is possible for many children to reach adulthood without experiencing tooth decay. 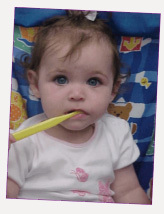 Routine dental exams are recommended for children starting at the age of three. Problems that regular exams uncover can often be treated in the early stages, when damage is minimal and restorations may be small. When necessary, X-rays are taken to see how the teeth are developing and to spot hidden decay. Brushing twice a day and flossing once a day are necessary to maintain healthy teeth and gums. 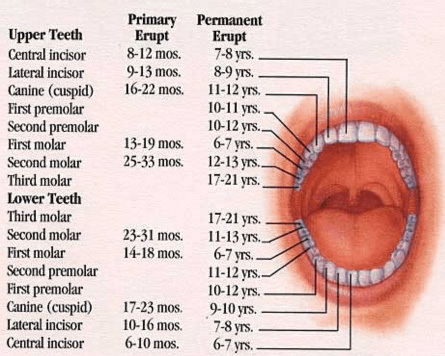 If a child is under age two, brush the teeth with just water, unless your child’s dentist recommends otherwise. For children over two, a pea-sized amount of flouride toothpaste is all a child needs. Be sure your child spits out the toothpaste. Children may be able to brush their own teeth by age seven- but may require supervision until age 10 or 11. Select a child-size toothbrush for ease of use. Replace the toothbrush every three to four months, or sooner if worn. Flossing removes plaque from between teeth, where a toothbrush can’t reach. However, flossing is a more difficult skill to master. At about age 10 or 11, your child should be able to floss between the teeth under your supervision. Your child’s dentist or hygienist can demonstrate proper brushing and flossing techniques.